St Ann's is a Church of England church, in the Diocese of Liverpool. St Ann’s is on Central Avenue, about a mile north of the town centre. It's a new church opened in 2000, replacing a Grade II* listed Victorian building, which now houses the North West Face climbing centre. St Ann’s evangelical tradition dates back to the early 1870s, and its present worship and ministry reflect that tradition, although there’s now a deliberate openness in worship; this is enhanced by the "open" layout of the new church, with seating arranged centrally around the holy table. The first St Ann’s church building on Winwick Road was consecrated in 1869. For 126 years the congregation worshipped there but moved out on 25th November 1996. One reason for the decision to move out of the building was that the building itself needed costly repairs. 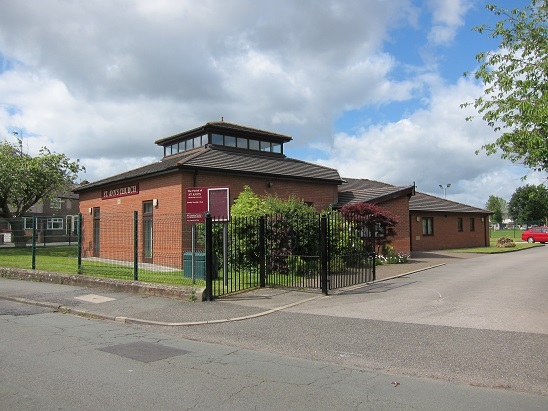 A ‘parish audit’ indicated that the building on Winwick Road was unsuitable to meet the social needs of the area, which the church was seeking to address. After searching the parish for a suitable site, the one chosen was near St Ann’s School, on the corner of Central Avenue and Shaws Avenue. The congregation moved to the school for worship, expecting to be there about a year, but due to a number of problems they were there for over four years. On Palm Sunday, 16th April in the year of our Lord 2000 the Bishop of Liverpool, the Right Revd. James Jones dedicated the church in which we are now worshipping. There is a book available about the history of St Ann’s priced £3.00.